Tigh Na Crich is a large traditionally built stone house, dating from the mid 1800's. Situated in the village of Lochearnhead, on the A84, Tigh na Crich is set at the foot of Glenogle, near Edinample Castle and Ben Vorlich, at the head ofy Loch Earn. 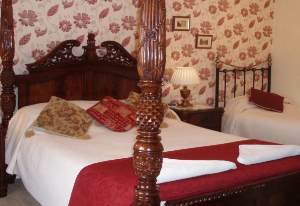 Retaining much of its original character, Tigh na Crich has been renovated to a high standard. 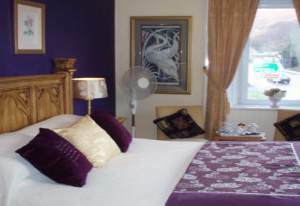 Guest accommodation consists of One family/double room with a King size Four Poster bed, double room with King Size Bed, plus a cosy twin bedded room, all en-suite. We have a cot and high chair for families on request. 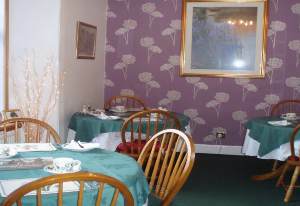 Two hotels in Lochearnhead provide excellent meals with views across Loch Earn towards Ben Vorlich and Edinample Castle. Other restaurants, cafes and bistros with food to suit all tastes and occasions are located within a short drive from Lochearnhead in the nearby villages of Strathyre, Balquhidder, Killin and Callander. Tigh Na Crich is the perfect place to stay if you are interested in hill walking, cycling, fishing, golf or touring, there being many fine golf courses locally. If water sports are your interest the Water Sports Centre on Loch Earn (which is 5 minutes walk from us) is an ideal spot to enjoy water skiing or sailing. 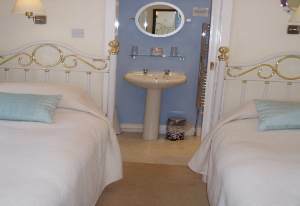 Your hosts, John and Irene, welcome you to Bed and Breakfast at Tigh na Crich, their comfortable home in The Trossachs and Loch Lomond National Park, Scotland.